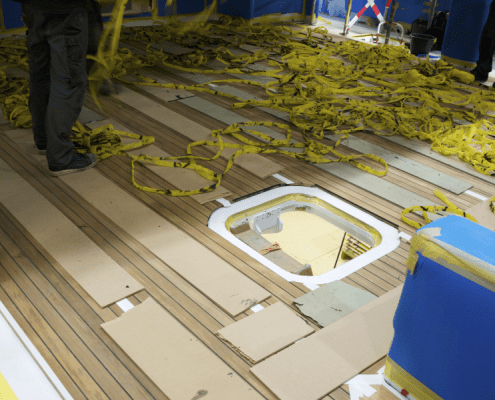 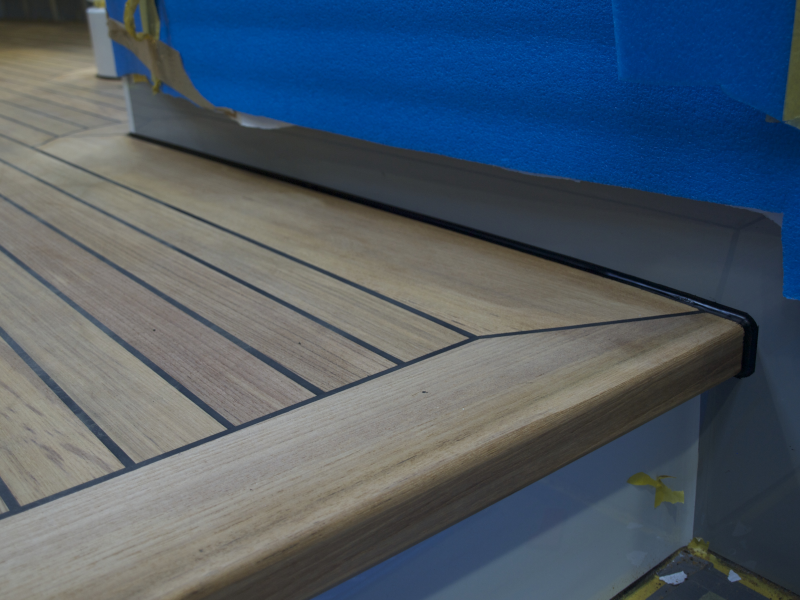 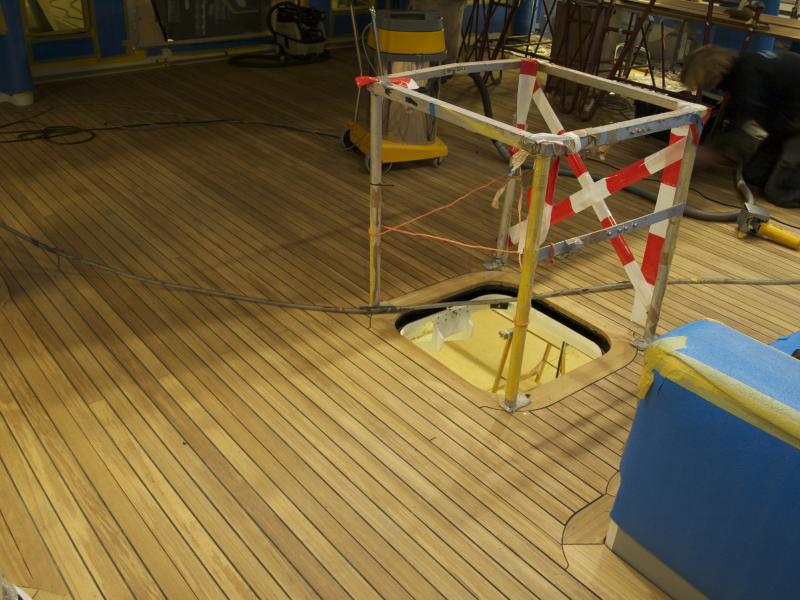 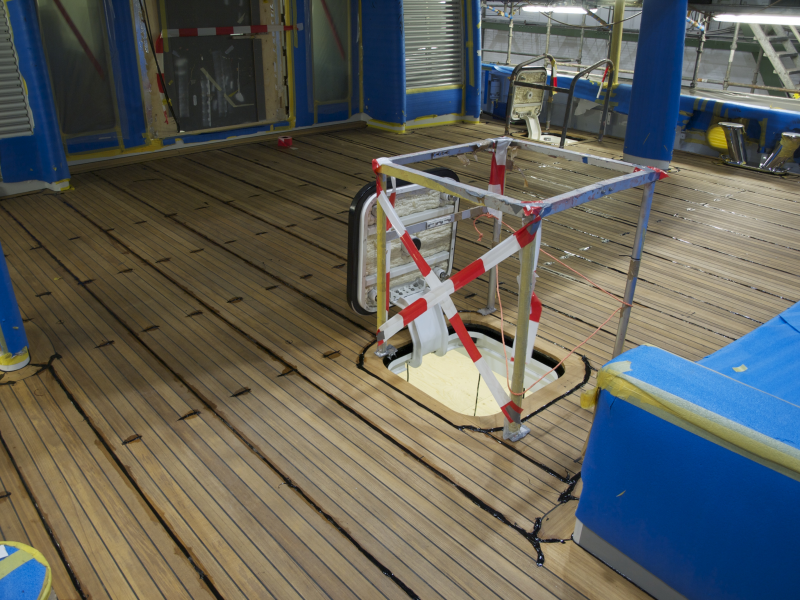 To keep the separate planks together and in the right shape, the teak is glued onto a layer of 1mm fibreglass. 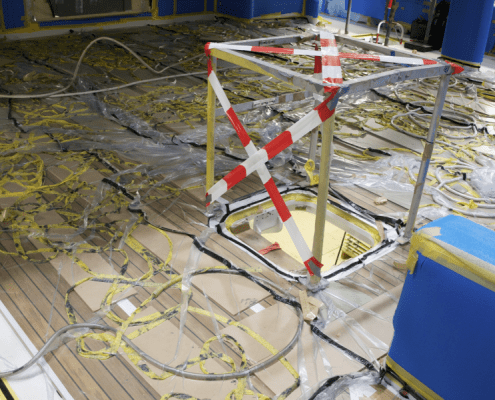 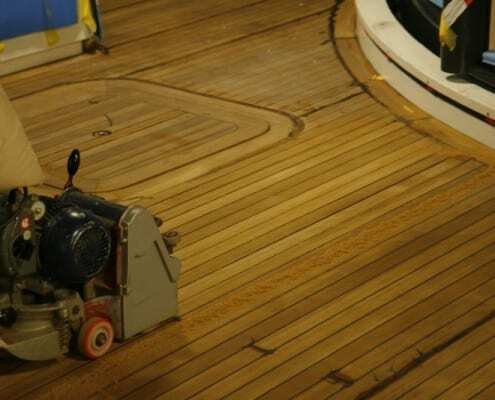 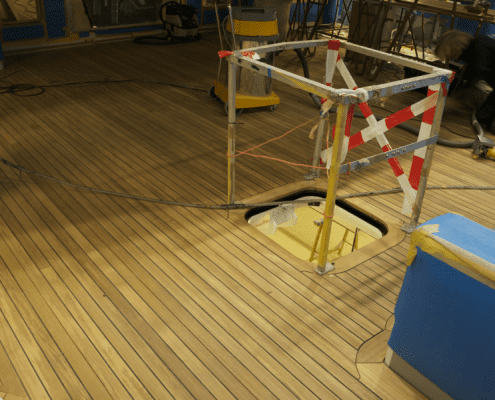 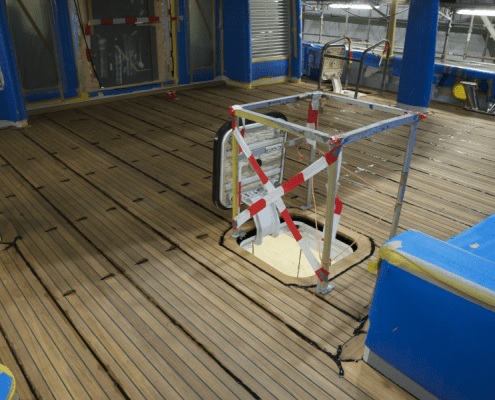 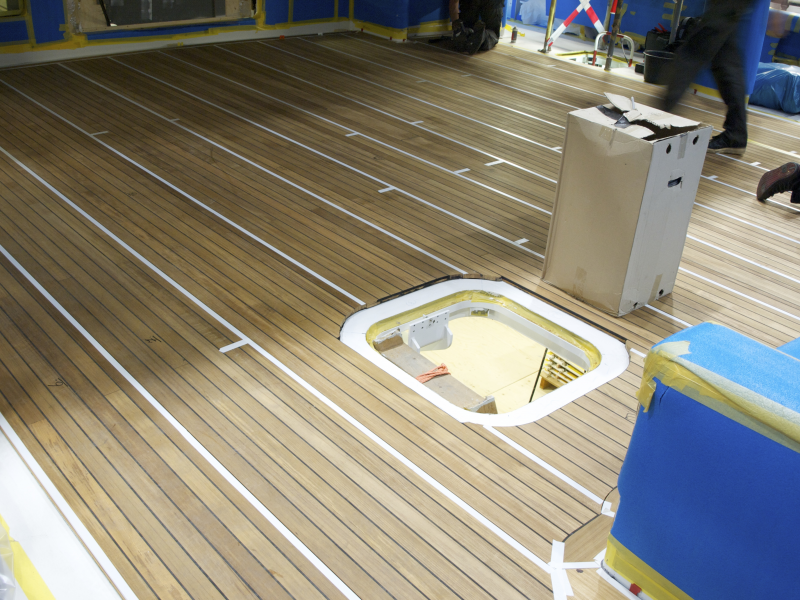 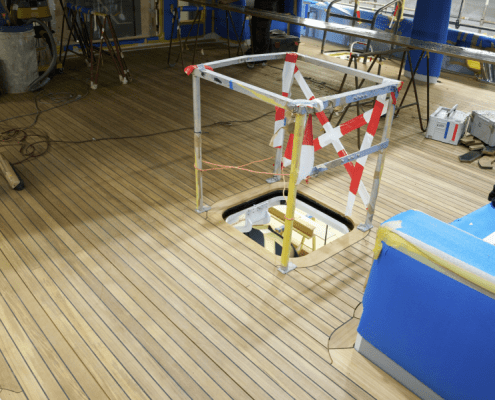 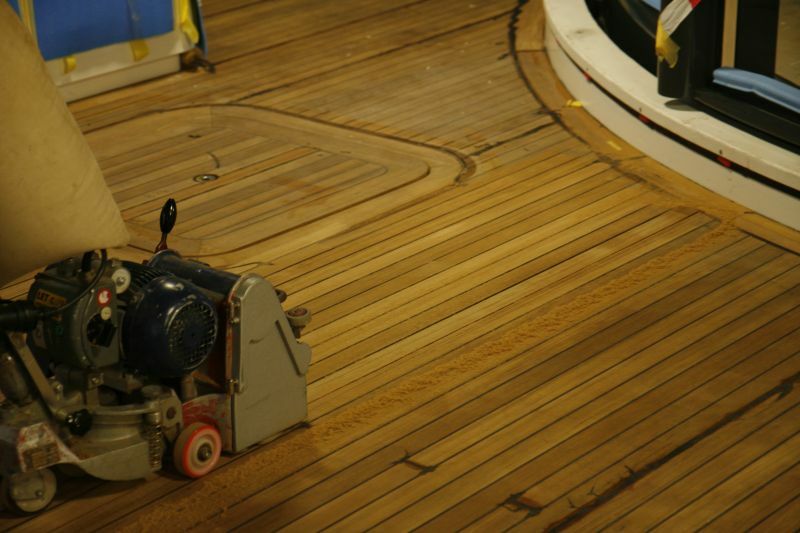 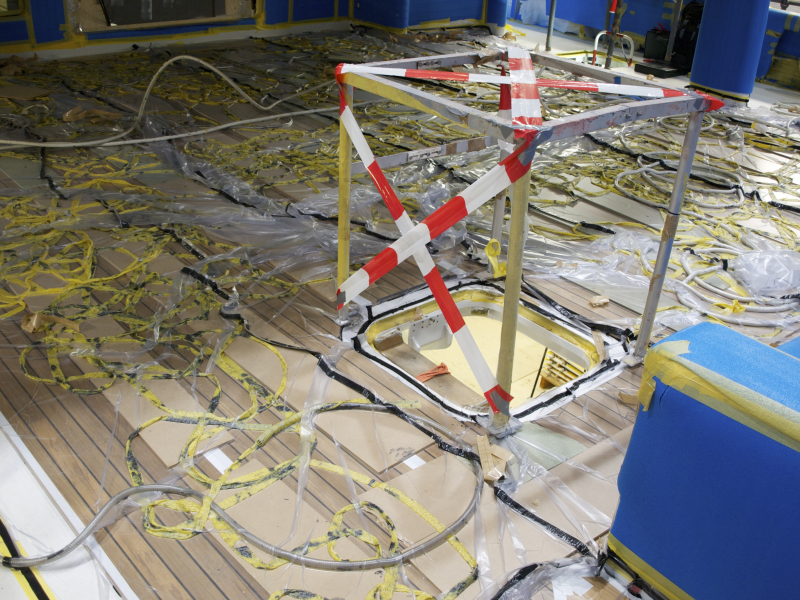 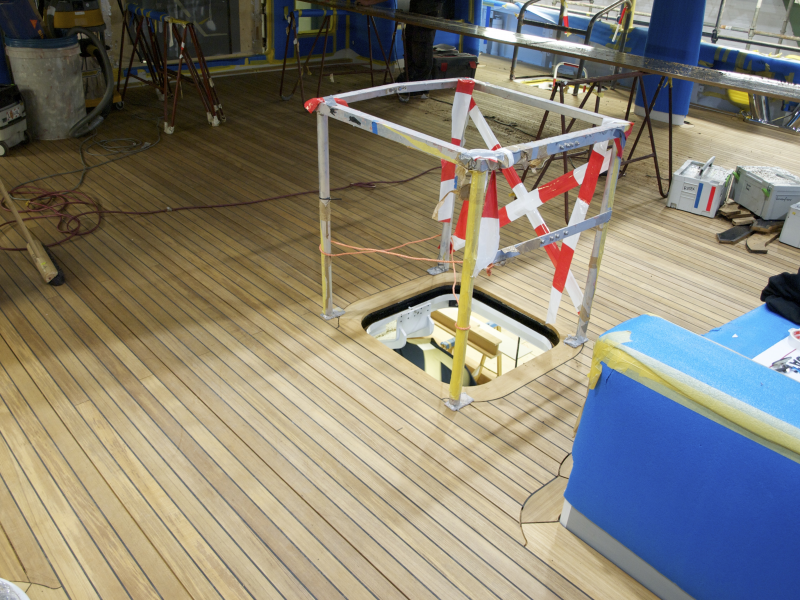 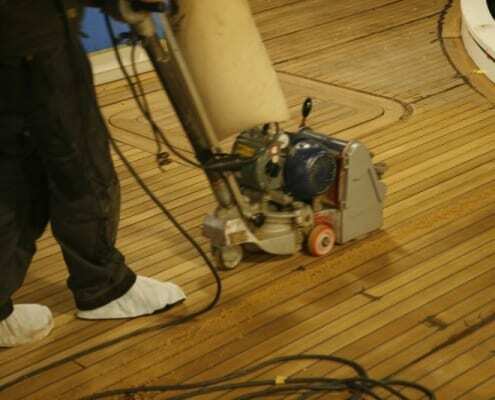 Vacuum technique is used to glue the deck during prefabrication as well as during mounting on the construction deck onboard. 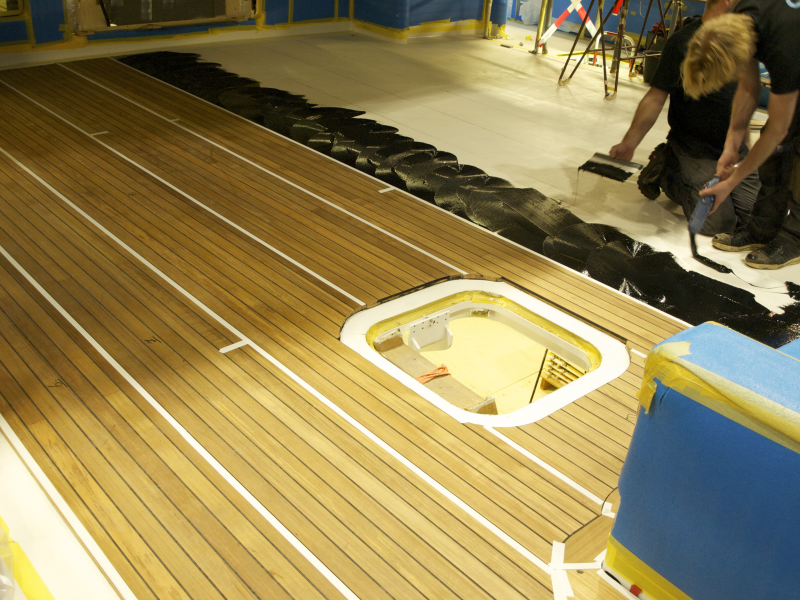 Gluing and caulking of the seams is standardly done using a complete SIKA Marine system. 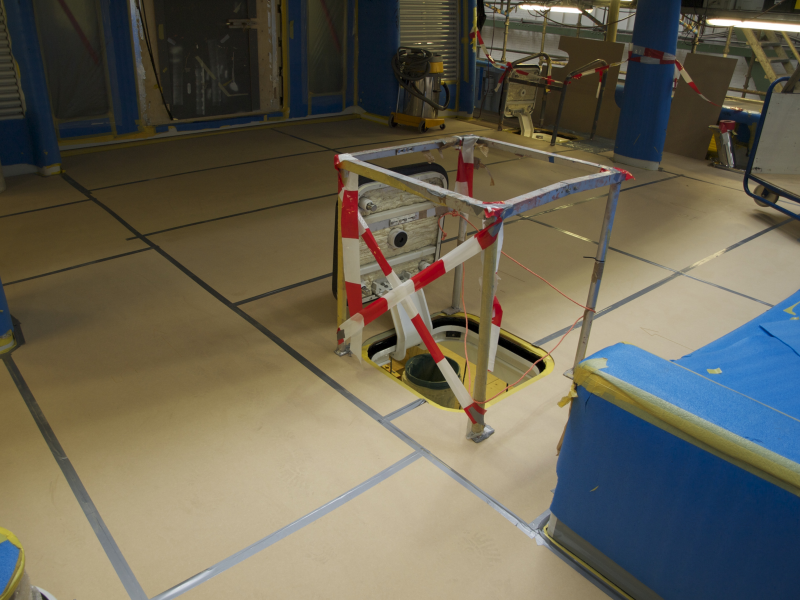 Our process has been inspected and fully certified by SIKA. 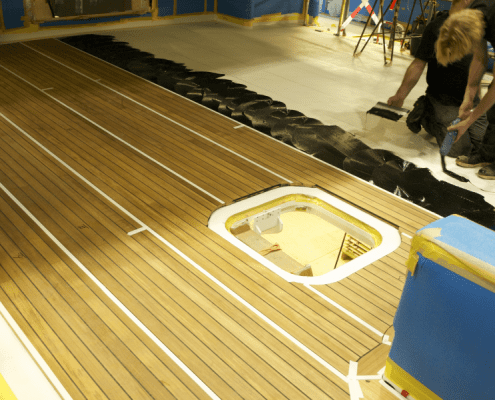 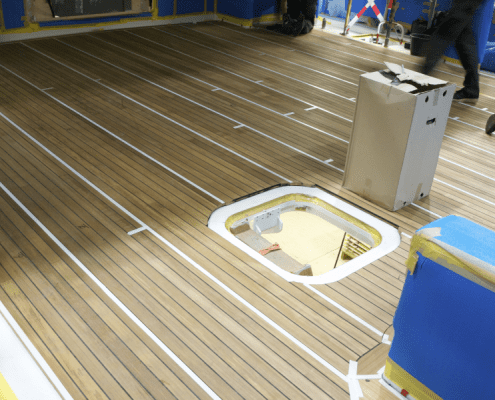 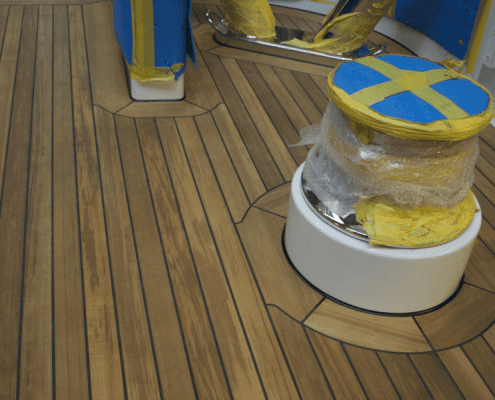 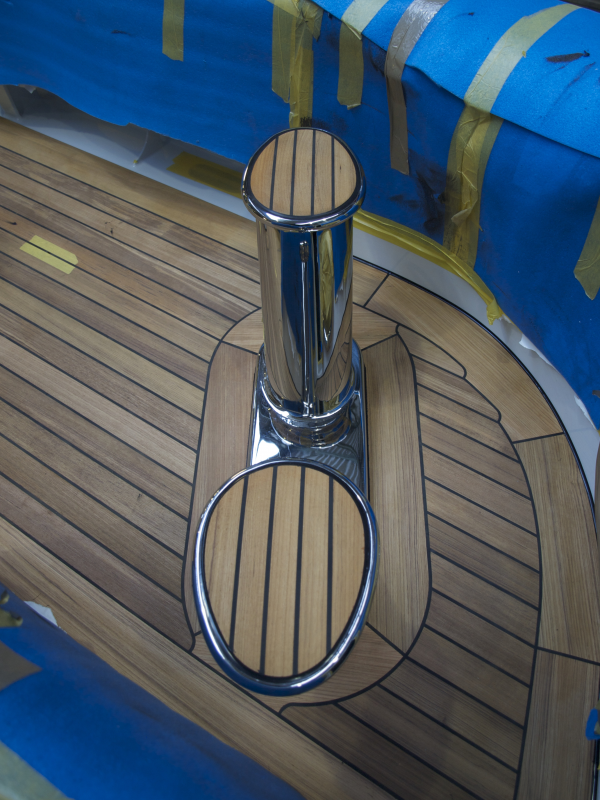 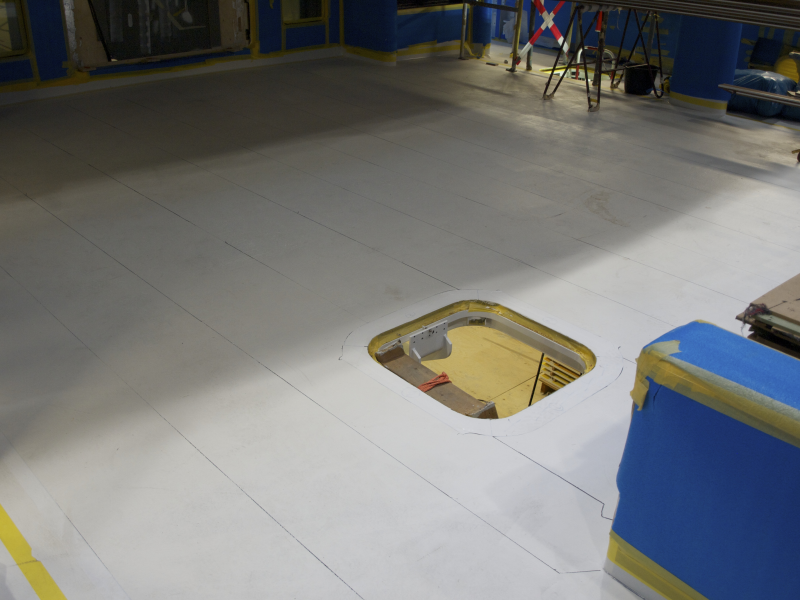 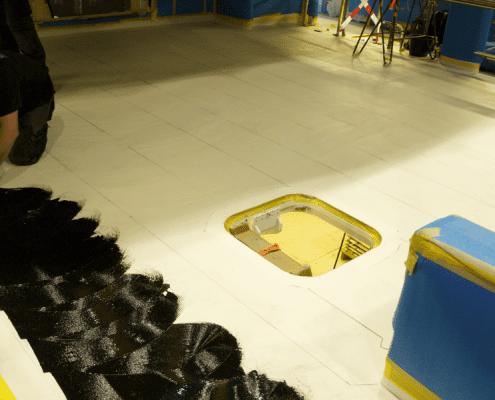 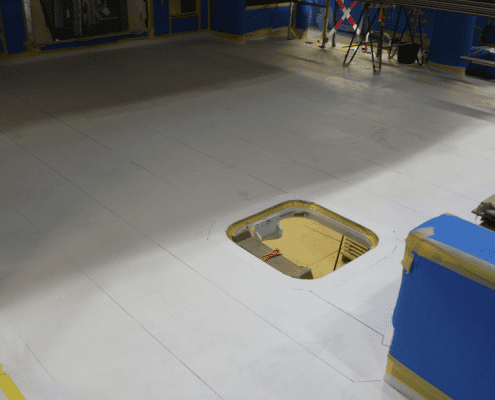 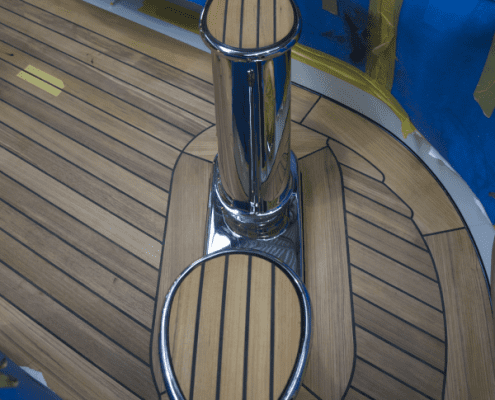 We help reduce the total building time of the yacht, which enables the painters to finish their job while we are already producing in our workshop. 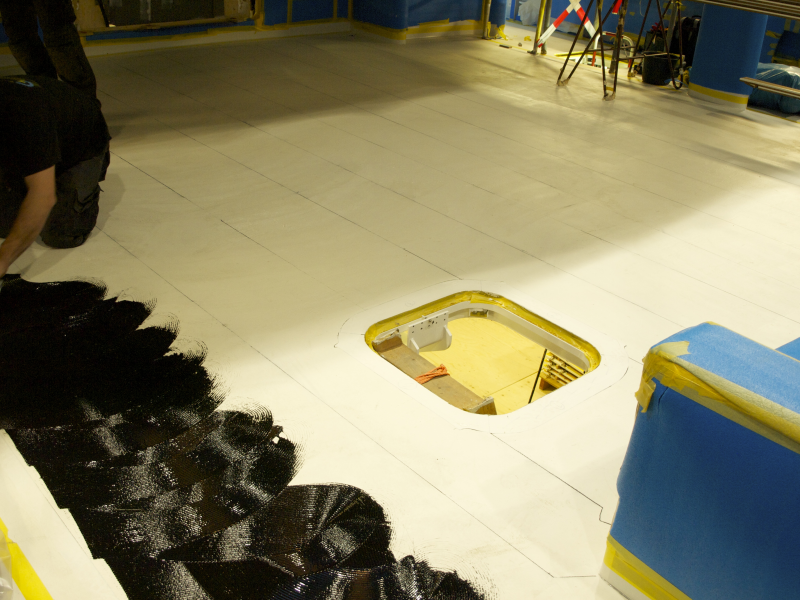 When the panels arrive, final adjustment of the last millimeters takes place on spot. 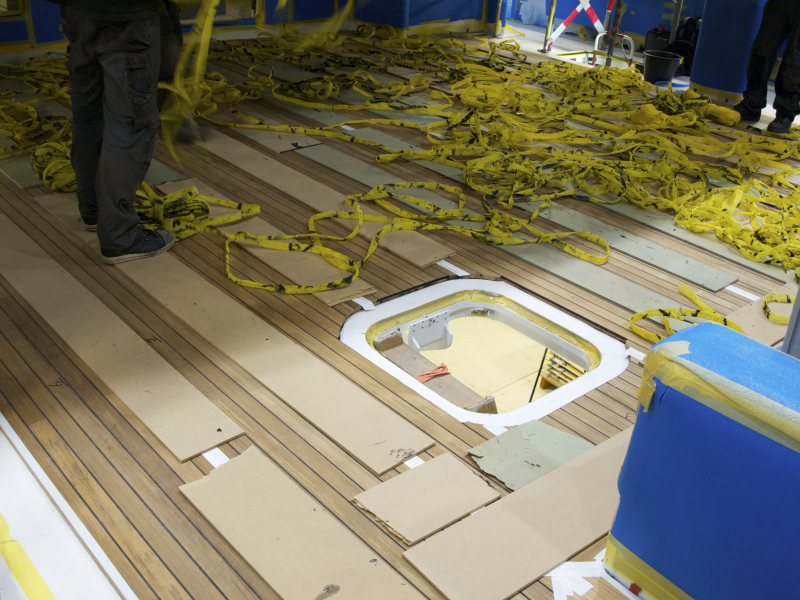 Then the glue is applied and the panels are placed under vacuum pressure. 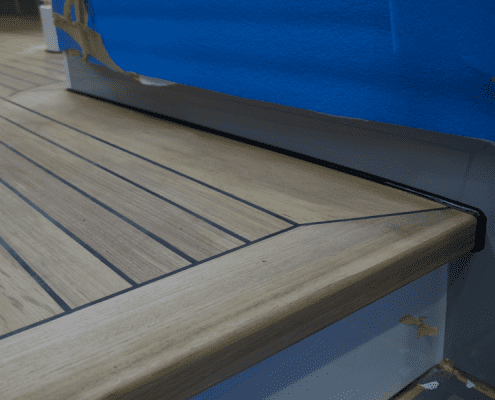 The margins which are not integrated in the panels, because they lie transverse to several panels, are glued at the same time. 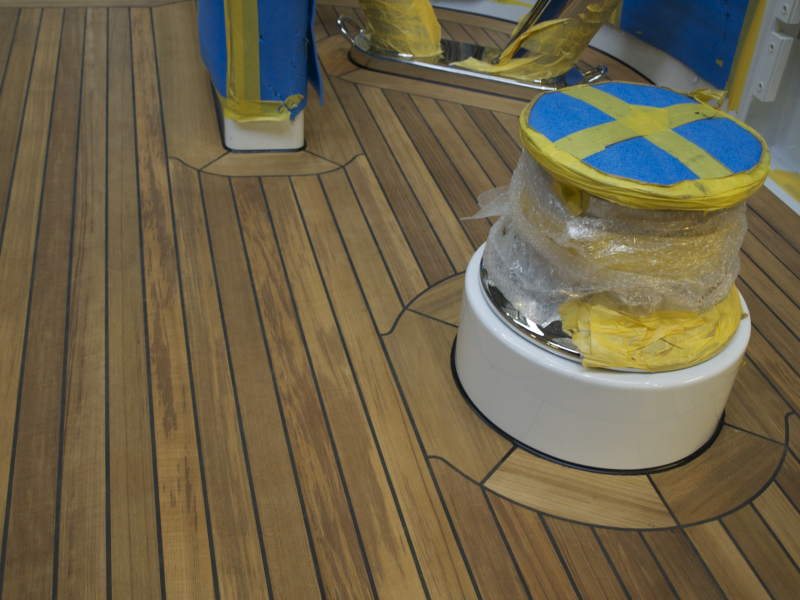 After curing the seams between the panels are caulked and sanded. 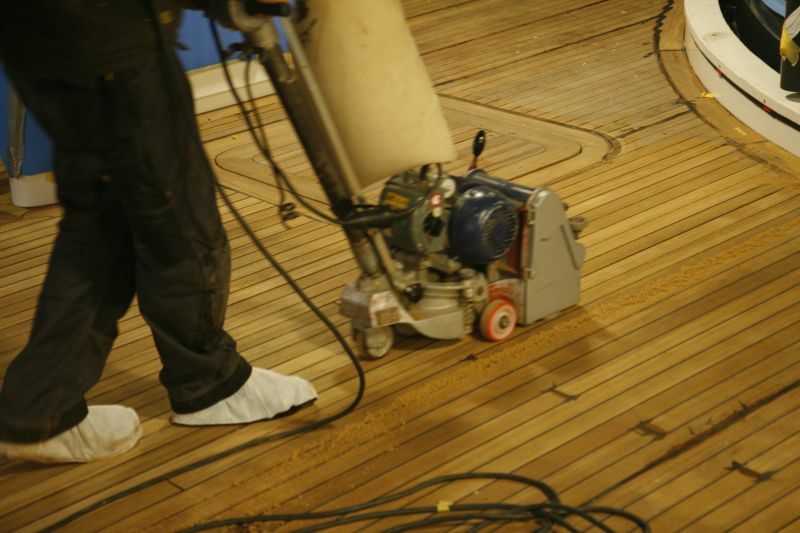 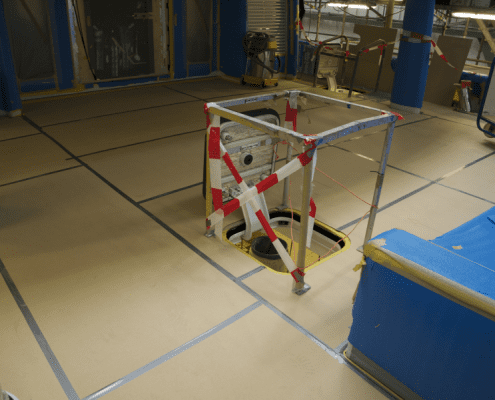 This way production time and dust on board are reduced to an absolute minimum.